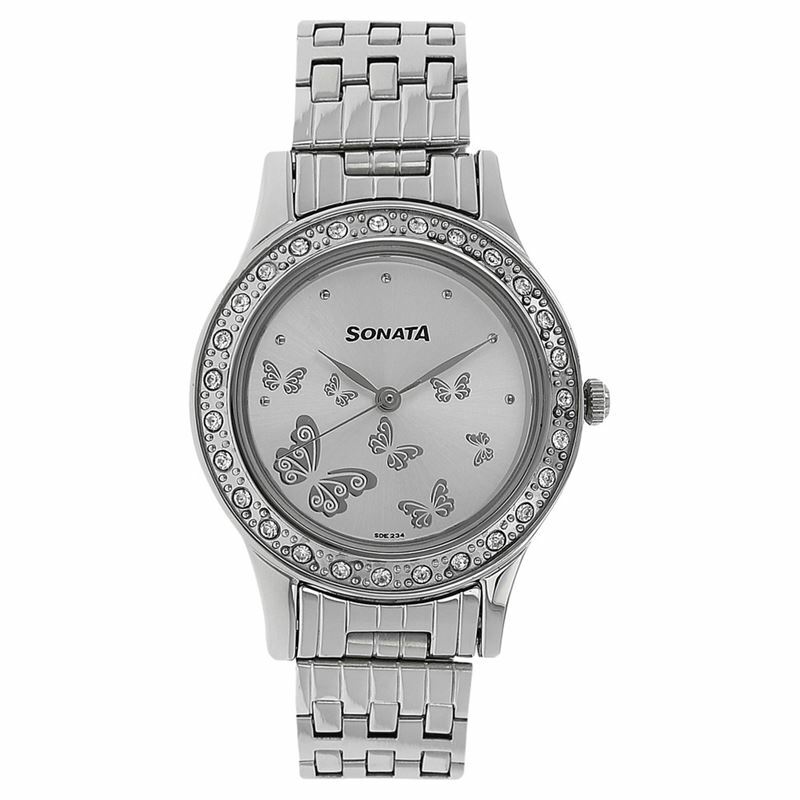 This analog watch for women features a silver dial placed within a round, brass case. The dial has different-sized butterfly designs inside. Seven silver dots at five minutes interval ensure better time check. The watch has plain three hands. White stones embellish the case. The silver strap is made of stainless steel. A crown allows time adjustment. The watch is secured by a divers clasp and is water resistant for up to 3 ATM.